“High School Musical, JR” tickets on sale for its 10th year! The 2017 Peanut Butter and Jelly production will be Disney’s “High School Musical, Jr.” Performances are June 23-25, 2017. Ann Froelich directs the play. We’re all in this together in Disney Channel’s smash hit musical phenomenon featuring the students of East High. Tickets are available now. Buy online to get the best seats. Troy, Gabriella and the students of East High must deal with issues of love, friends, and family while balancing their classes and extra-curricular activities. The show’s infectious, danceable songs are sure to engage performers and audiences alike. 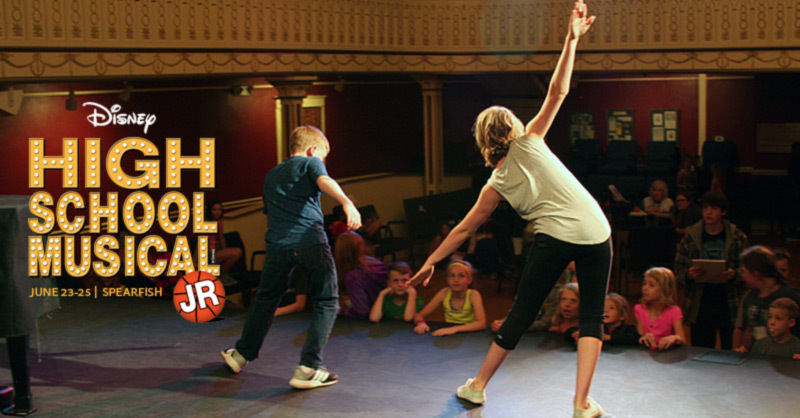 Disney’s “High School Musical JR.” is a great way to involve your school’s student athletes. 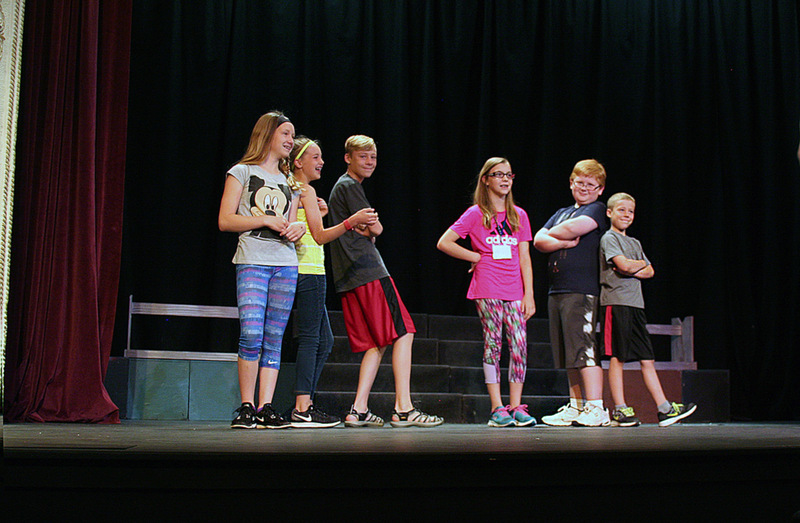 The show’s large cast size can easily be expanded to accommodate students in many grade levels. Scroll down for cast, crew, and acknowledgments. Thank you to everyone who got these young people to our rehearsals. Thank you to this community for all of the support of our young people. Thank you to The Matthews Opera House for letting us use this amazing facility and for the wonderful staff. Finally, thank you to Jack Hughes for training our lighting and sound crew. KEVN Black Hills, South Dakota Arts Council, Great Western Bank, Killian’s Tavern, Black Hills Pioneer, Century 21, Bay Leaf Cafe, City of Spearfish, DeSmet and Biggs, LLP, Forcoli & Sons Painting, Wolff’s Plumbing & Heating, Inc., Lucky’s 13 Pub, Spearfish Holiday Inn, The Apple Blossom B&B, Zonta Club of Spearfish, Optimist Club of Spearfish, The Matthews’ family, The Kelley family — CLICK HERE to visit these sponsors’ business websites. This entry was posted	on Thursday, May 11th, 2017 at 2:16 pm	and is filed under News & Blog, Past Community Theater Shows. You can follow any responses to this entry through the RSS 2.0 feed. Both comments and pings are currently closed.